Home / Bangladesh / Opinion / Satellite / Space / Bangladesh’s Space Age: A Strategic Turnover? Image Attribute: Bangabandhu-1 Launch from LC-39A, Kennedy Space Center/ Source: Official SpaceX Photos (CC0). 3.5-metric ton Bangabandhu-1 communications satellite becAME the first geostationary communications satellite operated by Bangladesh. Ordered from Thales Alenia in late 2015, BD-1 will operate from 119.1° East using a payload comprising 14 C-Band and 26 Ku-Band transponders to deliver focused telecommunications coverage to Bangladesh. The satellite is being operated by Bangladesh Telecommunication Regulatory Commission (BTRC). 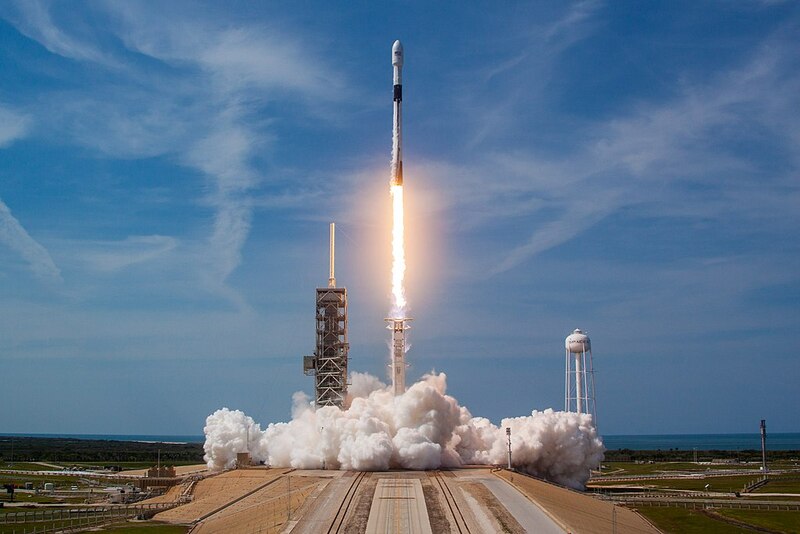 Bangladesh’s space age has begun with the successful launch of the Bangabandhu-1 satellite by SpaceX into orbit on 11 May, providing Bangladesh the status of one of the 57 nations having own satellite. As the country is developing in terms of economic development, growth, GDP, women empowerment, human resource development, expanding connectivity, improving communications as well as technological advancement but the future space-based Bangladesh might be going to face some sort of mixed experiences. Obviously, the satellite is going to construct our dreamt ‘Digital Bangladesh’ providing huge prospects for the nation but several internal, external, and strategic challenges cannot be ignored. Now the question is that how the satellite is going to shape Bangladesh’s national power as well as national security order in this age of globalization? How is the state going to manage its internal and external challenges for assuring greater sustainability in the space age? In which way the nation would handle the strategic challenges enforced by the spaces powers in the near future? In order to compete with the globalized world as well as to materialize the vision of digitalization, the current government of Bangladesh decided to make its own satellite. Following these targets, the state acted in a rational manner to visualize its space-age such way that France made the satellite, the USA took it to orbit, and Russia leased the orbital slot to Bangladesh. There are basically threefold prospects of the spacecraft for Bangladesh: expanding and developing telecommunication and internet services around the country, enabling the telecommunication sector to reduce dependency on satellite services provided by space powers and earn foreign revenues, and detecting as well as managing natural disasters and greater national security. The satellite will provide benefits regarding economic, social, agricultural, communications, and natural disaster management purposes, and is the result of policy-makers finally being able to focus on a project and take the necessary measures to see it through. This satellite network will facilitate certain sectors such as telemedicine, distance learning, online research, video conferencing, defense, detecting sea piracy, and disaster management. It will also improve the direct-to-home (DTH) services, making people’s access to worldwide television entertainment faster and easier. The satellite’s advanced communications will bring immense economic gains as well. Currently, Bangladesh annually spends more than $14m on renting satellite bandwidth from foreign operators. Bangabandhu-1 will save Bangladesh $210m throughout its 15-year span. Bangabandhu-1 is also expected to provide services to other Asian states such as Nepal, Myanmar, Bhutan, as well as Indonesia, the Philippines, Turkmenistan, Kyrgyzstan, and Tajikistan — given that it is properly set-up, of course. Which means that Bangladesh stands to earn approximately $1bn by leasing out the transponders and another $1.5bn by selling other related services. Even we are dreaming to gain a sustainable space age though there would be lots of internal and external challenges waiting for Bangladesh. First, the government borrowed €155m (approximately BDT 1400 crore) from HSBC Holdings for the procurement and launching of the country’s first space satellite, Bangabandhu-1. The BTRC has been estimated to earn the investment by selling the satellite services at home and abroad within eight years; but specific Public-Private Partnership, focused plan and market strategy has not been sketched properly yet. Also, worldwide capacity of the satellite is usually sold before the launch but we are yet to take any such move. Bangladesh entered into the glorious space age but space sovereignty is still not a reality for the nation. The state tried to acquire its own orbital slot several times but it was not allowed and finally, it had to borrow orbit slot from Russia. Even the country is still very hopeful to get permission for establishing its own space sovereignty from ITU through the current technological, technical, human resource and space operation standard might not be in favor of the nation. For establishing space sovereignty Bangladesh has to improve in these sectors following the global space standard. The only space research center in Bangladesh is SPARRSO (Bangladesh Space Research and Remote Sensing Organization). It has been applying peacefully space and remote sensing technology, in the field of agriculture, forestry, fisheries, geology, cartography, water resources, land use, weather, environment, geography, oceanography, science, education, science-based knowledge and other related space research areas. It also provides the government with the development of space and remote sensing technology of different countries and gives advice for the formulation of national policy to the government. But the organization is not globally well-connected and has not been developed as the space powers did during their emerging period. It is not a focused organization that only does its business to operate, develop, navigate, and sustain Bangladesh’s space projection. Now the government has to frame rational and strategic policy and organization to visualize its space age. If we would like to get any benefit by using the satellite then our space success highly depends on the technologically standard procedure of making communication satellite and the policies and people working on it. Indeed, Bangladesh’s neighboring states, targeted as marketplace for the nation’s space service, are almost dependent on China, India, Japan, Russia, USA and other space powers for their space activities due to these space giants’ standard and cost-effective services, networks around the globe, market-oriented cost and supply, huge number of satellites, uninterrupted information and data flow, and ever-increasing space-connectivity investment. Where Bangladesh has only Bangabandhu-1, India has 84 satellites and China has 244. China is providing a low-cost space service to neighboring states in order to expand its ‘Belt and Road Initiative’ strategy and is also developing space technology to improve and expand connectivity web around the world. India is also doing well to counter the Chinese connectivity dream by initiating ‘Cotton Route’ where space connectivity, customer friendly space services, and a huge number of Indian TV channels and Bollywood are gaming a competitive chessboard for these space superpowers. Both states target Bangladesh as one of the key players and customers for their space governance. So, space balancing is going to a dilemma for Bangladesh, and rational action and strategic decisions to expand nation’s space age would a crucial one. Definitely, the growing space exploration and activities are going to strengthen and expand Bangladesh’s soft power projection within the global space order. Around the last decade, the country experienced a tremendous economic growth and technological development managing lots of obstacles and crises. Now the challenge is bigger as like as our dream. So, Bangladesh has to consider these challenges in order to visualize its sustainable space age where establishing space sovereignty, framing standard space policies and legal framework, balancing global space powers, considering and preparing for competitive satellite market, establishing academia for space exploration, ensuring national security, and managing internal dilemma, external threats and strategic challenges smartly would be must.